Still have an old shoebox filled with hockey cards from your childhood? Did you sneak outside for a game of street hockey when you were supposed to be doing homework? Remember providing your own play-by-play, ending with "He shoots, he scores!!"? 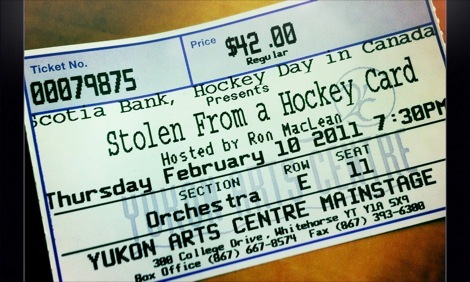 This concert's for you - all Canadian music celebrating the sport of hockey. 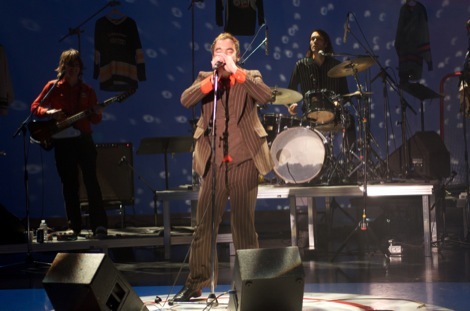 Hear songs freshly written and performed by Dave Bidini and BidiniBand, C.R. Avery, Kim Barlow, Buck 65, Geoff Berner, Sarah Harmer, John K. Samson, and Mathias Kom. From Wayne Gretzky to Reggie Leach, from Borje Salming to Jaroslav Halak - emulated players get idolized in song.